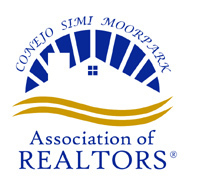 RealtyTech Inc. will be proudly showcasing their full product lines and discussing revolutionary new updates to the Agent123 and IDX123 Premium Suite at the Conejo Simi Moorpark Association of Realtors® (CSMAR) Expo on April 17, 2014 at the Hyatt Westlake Plaza Hotel from 10am to 2pm. This year’s Mardi Gras themed Expo will feature over 50 vendors, raffle prizes and a scavenger hunt with a $1,000 cash grand prize. There will be three Breakout Sessions covering the topics of Technology Yesterday and Today – What You Need for Your Real Estate Business, Protecting Your Credit – Facts You and Your Clients Should Know, and Building Your Own Mobile App. RealtyTech recently launched eight new Responsive Search Widget templates that react to the screen size of the user’s display. Senior Account Executive, Lance Grove, will be demoing these templates on multiple platforms in addition to the RealtyTech Premium Suite of online tools. Richard Uzelac, RealtyTech President and CEO, will give a sneak peek of the updated Agent123 and IDX123 features that are slated to launch in the second quarter of 2014. The new IDX123 interface is designed to streamline the home search process and captivate online homebuyers like never before. RealtyTech will be offering exclusive Trade Show Pricing to those attending the CSMAR Expo. To book an appointment with RealtyTech, call (877) 832-4428. For more information about the CSMAR Expo, visit //www.csmaor.com.